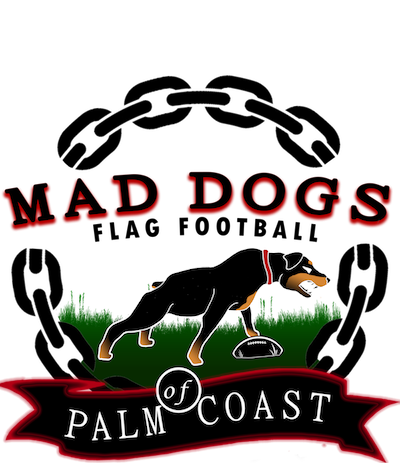 Mad Dogs Flag Football of Palm Coast is announcing its inaugural season, starting in March 2019. The brand new league is being started by Jarrod Maxwell, a longtime youth football coach in the area and local business owner. The league is being supported by a number of local business owners and experienced football coaches who are dedicated to building a lasting youth sports community here in Palm Coast. The new league has tagged March 16 for its opening slate of games with a robust preseason schedule of coaching clinics, position-specific coaching sessions and practices beginning in February. After an 8-week regular season and playoffs, Mad Dogs will continue play in the fall of 2019. The Palm Coast/Flagler County-run league is dedicated to helping children learn the game of football to stay physically fit, have fun, gain a sense of teamwork and sportsmanship and better prepare for both athletics and life in high school and beyond. 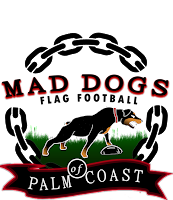 Mad Dogs is looking for coaches and players for its initial season as well as local business owners and residents to support the league with their time and in potential sponsorship opportunities. Those interested are encouraged to contact Jarrod Maxwell at (386) 597-0215.